The Youth Career Desk Lima facilitator has successfully linked over 162 vulnerable and unemployed individuals in Hammarsdale with various economic opportunities. 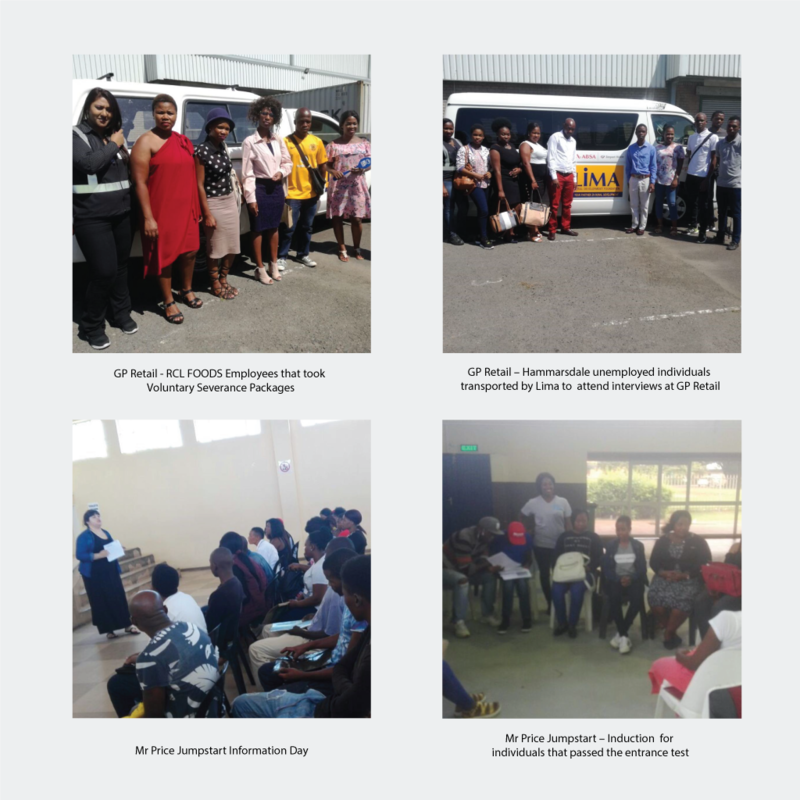 These include various new employment opportunities through partnerships forged between the DO MORE FOUNDATION and GP Retail Operations in Durban; iSipingo; Mr Price Distribution Centre; and Jumpstart Programme. GP Retail Operations have offered general and packaging work for 21 unemployed youth in the hammarsdale are – 5 of which were previously employed by RCL FOODS and opted to take the Voluntary Severance Packages. Mr Price Distribution Centre offered general work opportunities to 25 unemployed individuals in hammarsdale whose contracts ended in November 2017, although some have been recalled for work on a part-time basis. The Mr Price Jumpstart Programme has been introduced to the Hammarsdale community. Information day was attended by approximately 60 unemployed youths between the ages of 16- 35 years. Of these 60 young community members, 22 of them passed the online entrance test and will be trained on work readiness; CV development; and be deployed to the retail shops to obtain work exposure.